Is your business in need of new cars for your fleet? This is the time to compare buying those vehicles against leasing them because the cost is always a key factor. It is understood that in order to turn a profit, you need to keep operating costs as low as possible. So, when it’s time to add vehicles to your fleet, you need to determine the most cost-effective means of doing that. Is it better to buy or to lease those cars? Maybe understanding the key benefits of leasing fleet vehicles will help you make that decision. First – Is Owning a Priority? If your business is seeking to grow its assets, then leasing may not be an option. This is one of the main reasons why so many SMEs opt for purchasing new cars as the need arises. Under normal circumstances, a car lease agreement requires you to return the vehicle once the contract term has expired. Sometimes you can find leasing agreements with a lease/purchase stipulation, but if that isn’t in the contract, seeing that vehicle as an asset isn’t possible. It goes back at the end of the contract. Now let’s move on to those key benefits of leasing. For many small businesses, it makes good sense to lease fleet vehicles because large deposits aren’t generally necessary. You can lease a vehicle without putting a certain percentage down to secure a loan and when you are looking at several cars, that initial expense could quickly add up. Another key advantage is that when the term is up on your lease contract, you typically have the option to renew but with a whole new set of vehicles. 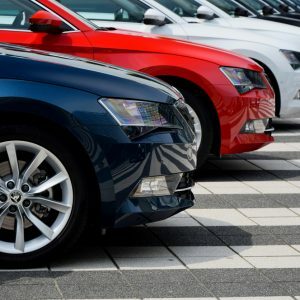 With technology advancing as rapidly as it has been over the past few years, you can have a state-of-the-art vehicle every few years and the lease renewal process is a whole lot less stressful than a new purchase or lease agreement. You can lease luxury cars for your business if you want to impress your clients. Just check out the car lease deals from specialist providers such as Vantage Leasing and you’ll see how good value for money they can be. Imagine the kudos of driving a Jaguar or a similar prestige car! Most people know that the moment you drive your car away, it has lost a significant portion of its value. Even if you only drive that car a few miles, it can no longer be sold as new. When you have just sunk tens of thousands of pounds into a deposit for new fleet vehicles, a sizeable loss like that doesn’t make good business sense. There are a number of tax and VAT advantages when contract hiring fleet cars. Some makes and models let you claim back as much as 100 percent of your expenses, especially if they are low CO2 emission models. You will also get a tax break if you are paying maintenance packages for your leased vehicles. If the vehicles will be driven for personal use some of the time, however, this may impact how much of a tax break you’ll realise. With all these benefits of leasing a car, a growing number of UK businesses are turning from owning to leasing. It just makes better business sense for them.